Though we still prefer to stay naked when it comes to the iPhone, here's a pretty solid alternative for those people paranoid of shattering the fragile beauty that is the iPhone: Cellhelmet. It's a case that not only protects your iPhone but will also pay for a replacement iPhone if your iPhone breaks. Sounds kind of too good to be true, huh? But according to Cellhelmet, which got its start on Kickstarter, getting a new iPhone after your iPhone breaks in the Cellhelmet case is easy: just pay $50 and grab a new Cellhelmet case and it's yours. Cellhelmet promises to repair or replace your broken iPhone in less than three business days. 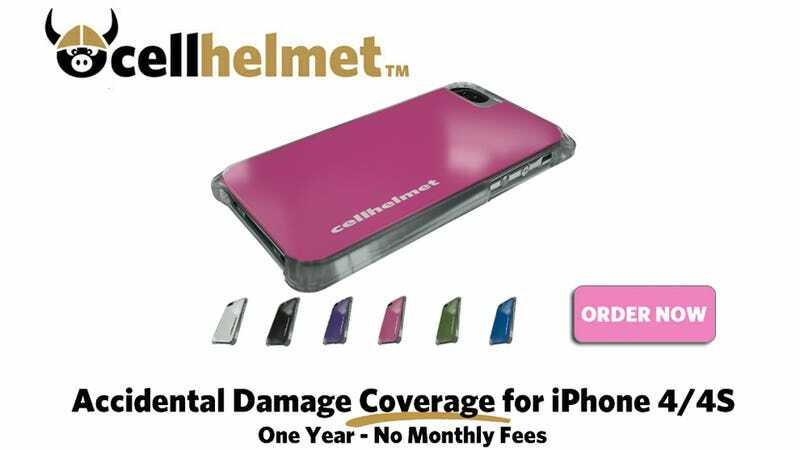 Cellhelmet covers all kinds of breaking (aside from water damage) and will even protect jailbroken iPhones too.